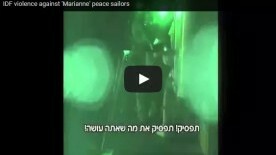 Contrary to Israeli claims that the Marianne was taken peacefully, this video shows that armed commandos used brutal violence against unarmed passengers aboard the Gaza-bound boat early on Monday. According to the organizers of the flotilla, 14 of the 18 civilian passengers and crew remain in Israeli custody more than two days after they were violently abducted in international waters. Israeli naval commandos intercepted a protest ship at sea bound for the Gaza Strip on Monday and diverted the vessel toward a port in Israel. 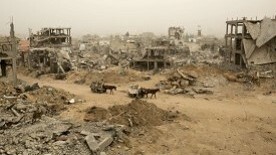 The Israelis said no one was injured in the operation. 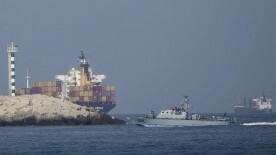 The Swedish-registered Marianne of Gothenburg was attempting to enter Israeli-controlled waters in the Mediterranean Sea and deliver aid packages to Gaza. 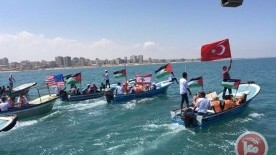 Activists aboard a flotilla of boats are to soon set sail for Gaza in a fresh bid to break Israel's blockade of the territory, five years after a similar attempt ended in a deadly raid. 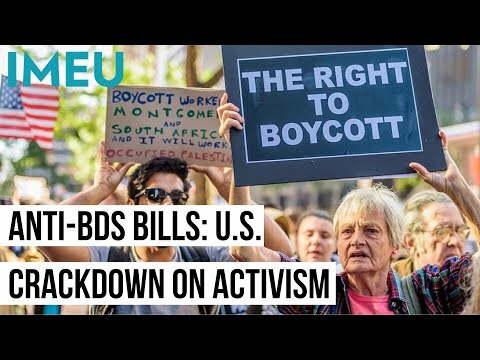 The so-called Freedom Flotilla III -- a convoy of ships carrying pro-Palestinian activists, at least one European lawmaker and an Arab-Israeli MP -- will try to reach the shores of the Gaza Strip by the end of the month. 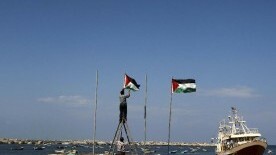 Activists in Gaza City on Sunday marked five years since Israel's deadly attack on the first Freedom Flotilla in 2010, a day after the ship leading Freedom Flotilla III arrived in the port of Bueu in Spain en route to Gaza. Israeli naval forces killed nine activists On May 31, 2010 after they stormed six ships intending to break the Israeli blockade of Gaza. 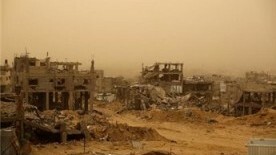 Six months after the ceasefire, Gaza’s residents are still eking out a perilous existence in the shadow of ruined buildings. Traumatised children struggle with the horrors they have seen and teenagers lose hope in the future, said aid agencies, who criticised international donors for reneging on pledges to help. 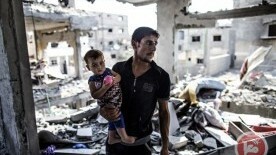 Rebuilding the Gaza Strip after last summer's war with Israel will take at least a century at the current rate of progress, Oxfam warned on Thursday. Israel restricts the flow of steel and concrete into the Palestinian territory because Hamas, the radical Islamist movement, has diverted material of this kind to build tunnels and bunkers. 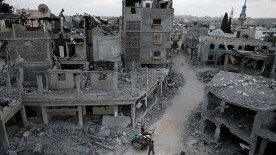 A massive shortfall in the $5.4 billion pledged for Gaza's reconstruction by the international community last October is exacerbating an already dire humanitarian crisis for Palestinians displaced by Israel's summer offensive. A United Nations agency says it suspended an aid program for Gaza residents displaced in last summer's Israel-Hamas war because of a large shortfall in funds from donor countries.